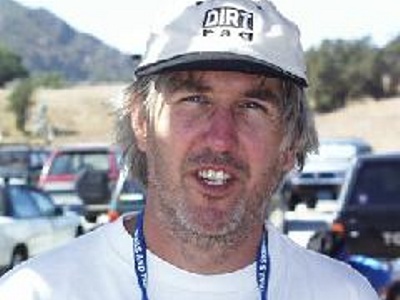 Kurt Loheit, cofounder of CORBA and IMBA, and an inductee to the Mountain Bike Hall of Fame, has received a Lifetime Service Award at the 20th American National Trails Symposium. View our blog article on Kurt's award for details. The headline above is courtesy of Fats in the Cats mountain bike club in Hudson Valley, New York. I couldn’t have said it better myself. Read on for why. At the Wood Canyon Vista Trail work day in Point Mugu State Park last month we were passed by upwards of 50 mountain bikers during our 4-hour work period. Most were thankful of the work we were doing, but many said nothing, and several rode past as though there was no one on the side of the trail. In other words, they did not slow down at all. I could have sworn some even sped up. Something else that transpired because of the trail work that day was a blog comment made by a local bike shop owner who took exception to the work being done. He said that if CORBA continued to do such work he would be forced to discontinue his support of the organization. We replied that supporting CORBA is his choice, but that CORBA will continue to support his business by creating more riding opportunities for mountain biking—which includes partnering with local management agencies to help preserve and maintain trails for the safety and enjoyment of all users. We also pointed out that it was CORBA’s direct involvement that led to Wood Canyon Vista Trail (and Guadalasca Trail) being open to bicycles. The bigger question is, if bike shop owners are ignorant to what CORBA has done and continues to do for the mountain bike community, then CORBA needs to do a better job at public relations. This brings me to this article’s headline. Getting involved—and spreading CORBA’s message—doesn’t just mean doing trail maintenance. It means having a more direct dialogue with the people we ride with and bike shops we patronize about what we as a community can do to preserve and increase mountain biking opportunities. Just because a trail is open to bikes, it doesn’t mean the designation can’t change to bikes not being allowed. Working with the land agencies, also known as advocacy, is paramount in making sure our interests are being represented. Unfortunately we continue to see an attitude among many mountain bikers which says “CORBA will take care of it.” Well, like the saying goes, “if you didn’t vote, you can’t complain about the job the government is doing.” The same goes for mountain biking. If you don’t get involved with the process, you can’t complain about the outcome. CORBA needs support, if nothing else in membership numbers, but moreover in simply riding responsibly (and letting others know they should, too), and letting your position be heard through the various letter writing campaigns and public meetings that take place, which you would know about by being a CORBA member. We saw direct public input in action recently with the Rogers Road Trail grading and widening that took place last month. Through the efforts of CORBA, Save Our Mountains, Inc., the Brentwood Hills Homeowners Association, and other likeminded trail users, we were able to convince State Parks to halt their work until further evaluations can be made. I realize we’re not trying to find a cure for cancer. However, riding our bikes in the mountains for most of us is what makes and keeps us healthy, both physically and emotionally. And while it may not have been one of our original goals, it has become evident that for our society, fighting obesity might be as important as curing cancer. CORBA’s youth programs (Youth Adventures and CORBA Kids Club) strive to help kids appreciate the open space trails and expose them to a lifetime of healthy activity. These programs will also help to contribute to the next generation of open space enthusiasts. And that’s the responsibility of all mountain bikers, not just CORBA members. A few weeks ago, State Parks Maintenance Supervisor Dale Skinner used a Sweco trail tractor/dozer to fix and install several drainage channels on Rogers Road in Topanga State Park, as well as bring the trail up to vegetation clearance guidelines for multiple use. Many local trail users have complained to State Parks that the work was overdone and that a once narrow, serene singletrack trail has been obliterated into a road. Earlier articles on CORBA’s web site, based on photos of the work, began by trying to assuage concerns of trail users not familiar with this kind of work by saying that typically trails “come back” to a more natural state after a couple of seasons. However, on November 10th, the CORBA Board visited the trailwork areas along with Topanga Sector Superintendent Lynette Brody and Supervisor Skinner. After viewing the trailwork directly, it is clear that CORBA’s original thoughts were premature and we have removed them from our blog. From comments made by Supervisor Skinner, as well as an evaluation by professional trail contractor and CORBA board member Hans Keifer, it is evident that the work that was performed has many problems, including admitted violation of the department’s own policy. We were informed that the plan had been to continue the work down to the Will Rogers State Historic Park Trail Loop. However, we were assured by both Superintendent Brody and Supervisor Skinner during our November 10th meeting that the work will not continue until their usual policy and processes have been fulfilled, which they said could take several months to over a year. For the full story, including details on the problems with the current work, see our updated blog article on the Rogers Road trailwork. On November 22 CORBA Board members Mark Langton, Hans Keifer, Danusia Bennett-Taber, and Steve Messer, along with IMBA representative Jim Hasenauer, met with Topanga Sector Superintendent Lynette Brody and Acting Angeles District Superintendent Craig Sap. The specific purpose of the meeting was to update Superintendent Sap on CORBA’s programs as well as to review the trail conversion request made by CORBA more than two years ago as part of a state-wide process. 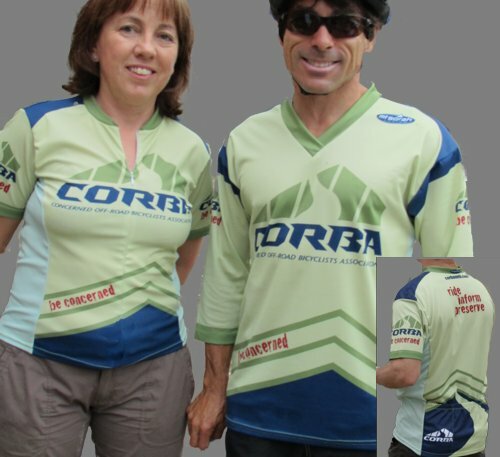 CORBA programs and their positive value and impact on the trail user community. 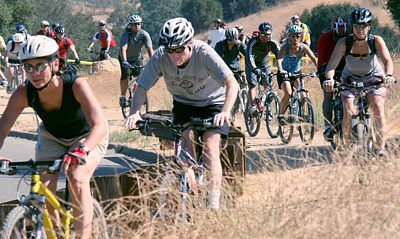 Mountain bikers, despite representing a large percentage of overall trail users, have the fewest miles of singletrack trails available. We deserve a diversity of experiences (beginner, intermediate, advanced). We also stressed connectivity as there are many missing links and places where bicyclists are cut off from important destinations. Trails currently closed that should be designated as shared use. We were frustrated at recent actions that seemingly ignored our concerns while almost concurrently created diminished opportunities and conditions for not only mountain bikers, but all trail users. Current status of the trail conversion process in the Angeles District. While this meeting was in some respects a new beginning with State Parks leadership, Superintendents Brody and Sap were both very familiar with CORBA in general, and there was certainly an air of cooperation that we have not experienced in several years. The current status of the conversion process is ongoing, with trails in Topanga State Park taking priority as part of the current development of a trail plan in that park. On December 15 the use status of Musch, Lookout, Yearling, and Deerleg Trails will be discussed by State Park personnel with an announcement to follow shortly. For full details, view our blog article on our meeting with the State Park superintendents. Looking for a Christmas Gift for a Special Mountain Biker? Our new fashion apparel that debuted at the Fat Tire Fest is now available for purchase online at the CORBA Store. Until December 31, 2010, shipping is free, so order now and save yourself a few bucks! To help keep your riding green, the short-sleeve jerseys are made with fabric that includes recycled material and the T-shirts are printed on unbleached heavy cotton. 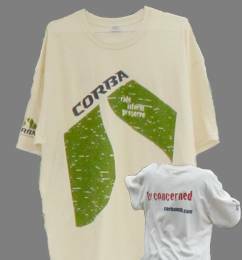 Go to the online CORBA Store to place your order today! On Saturday, ten mountain bikers and three members of the Santa Monica Mountains Trails Council trail crew fixed the drainage on 0.6 miles of the Wood Canyon Vista (Backbone) Trail in Pt. Mugu State Park, about one third of it’s length. We concentrated on the area that was most likely to be damaged by the winter rain. Running water does by far more damage to the trail than anything else, so we were building drainage dips to get the water off. Thanks to everybody who came out to help, and congratulations to Hector Ancheta who won the grand prize of a $100 gift certificate for Helen's Bicycles. Read the complete story of the Sycamore Canyon Backbone trailwork on our blog. Sunday’s trailwork on El Prieto went exceptionally well. We had perfectly cool, clear weather, damp soil that was easy to work with, and good spirits all around. Thanks to the approximately 50 people who came out to show this heavily damaged trail some much-needed love. In over 320 person-hours of labor, several washed out drainages were restored, brush was cut back, and many vulnerable sections of the trail tread received rock-armoring treatment. We were even able to restore one section of the original trail that had all-but vanished since the fires. Read the complete story of El Prieto trailwork on our blog. Saturday December 4th is the next skills clinic.